The Lower Valley of the Awash is one of the most important palaeontological sites on the African continent. It is here that in 1974 the skeleton fragments of 'Lucy' were found, who is estimated to have lived 3.2 million years ago. 'Lucy' stands for several hundred pieces of bone representing about 40% of the skeleton of an individual Australopithecus afarensis. In this valley of the Awash river in Ethiopia's Afar Depression also numerous other pre-human hominid remains have been found. In 2014 I did an organised 30 day trip through Ethiopia. Our itinerary in this region was: Kombolcha - Awash and the next day from Awash to Harar. From Kombolcha (or Dessie) you travel around 4-6 hours on a gravel road before reaching the main Djibouti road. This is a good asphalt road. Our guid mentioned that in this area Lucy was found, but it is almost impossible to visit this site itself as there is no infrastructure between Kombolcha and Awash. You start very early and arrive at dark in Awash. 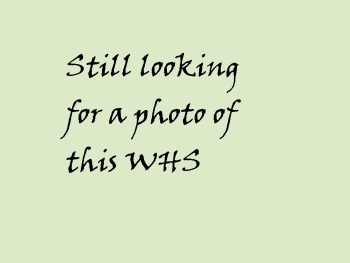 Els’s count of WHS reviews implicitly presumes that anyone reviewing a site will have been there! In the case of the “Lower Valley of the Awash” this is unfortunately not so in my case. Nevertheless during our Dec 2007 visit to Ethiopia I questioned our local guide (who had visited the site on numerous occasions) quite closely about it. The information I gathered might be of interest to anyone thinking of visiting, both to help them decide whether it would be worth it, and to help them with the logistics if they do go! As the location where the remains of the early hominid nicknamed “Lucy” were discovered, the site certainly has a world-wide significance. It is called “Hadar” and is situated south of the Danakil depression around 2-3 hours dirt road drive north of the Awash- Djibouti road near the new regional capital of Semera. Apparently it is quite “normal” to visit it as part of a 4x4 expedition into the Danakil or as a “diversion” on the way back from Lalibela to Addis. Permission is needed from the Afar Regional State Tourism Commission in Semera. Entrance is paid to them at 50 birr per foreigner (c US$5) and a guide must be taken (cost not known). We were told that a “scout” is only needed as well if you are going on into the Danakil. This area is tribal and the sensibilities of the locals have to be assuaged by local involvement in the form of a guide at least. And what will you see? Apparently the site is surrounded by a fence and is marked by the UNESCO logo. Universities are still digging in the region but I didn’t get any indication that they would welcome kibbitzers! You will see a number of “depressions” where digs have previously taken place and the location where “Lucy” was found is marked. And that seemed to be about it (but this appears to be more than can be seen in the Lower Valley of the Omo – see my review)! In constructing our route around Ethiopia for Dec 2007 I did consider visiting this site and “bagging” another WHS. We however were going no closer than Awash on the road to another WHS at Harer. The diversion would have taken c2 extra days and 800 kms return. Just to see a few holes in the ground and a UNESCO sign? Even my desire to tick off WHS baulked at this! I would have done it if we had been taking in the Danakil or possibly even as a shorter extension on the way back from Lalibela! But you will have to make up your own mind how important seeing this site is to you! Incidentally, the remains of “Lucy”, which are normally kept in a museum in Addis (though I think that only a copy is usually on view? ), are currently, and very controversially, on tour in the USA for several years. Our guide told us that the tour would earn his country $25 million – “Enough for 3 hospitals”. Apparently the Smithsonian (and other museums) have refused to get involved on the basis that the bones are too fragile to move. (Gamble and Stringer) states that Olduvai is already inscribed - well it is NOT since Ngorongoro is ONLY inscribed on "Natural" criteria and its hominid remains are not therefore officially covered. It also says that Hadar should be inscribed when it already was!! Early Hominid Remains: 'Lucy', who is estimated to have lived 3.1 million years ago. 7 Community Members have visited.